Ok, now I have that tune in my head! I'm a little annoyed at Blogger at the moment. It has occurred to me that although I have programmed my settings to receive an e-mails for all comments left on my blog, blogger takes it upon themselves to be selective by not sending ALL of them. I've recently noticed that some of you have commented and I did receive a notification. I have since contacted blogger, followed their suggestions and the problem has not been fixed. Sigh! I apologize for not getting back to you. I'm not ignoring you, I'm just not getting an e-mail that you've left a comment. Sigh .... annoying...! Onward to the fun stuff! 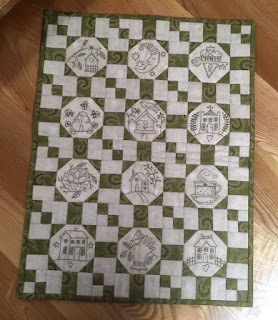 I finished this little hand embroidered quilt called My Little Garden by Kathy Schmitz. It measures 15 inches by 19 inches! Have I mentioned that I just love those little quits? One more to do and the series is complete! 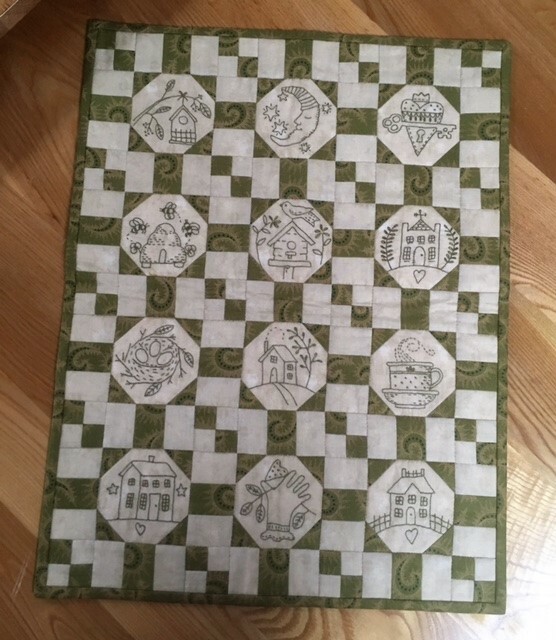 I also pieced this cute quilt that uses 30 different 10" blocks of fabrics. It's called Jungle Fever. I do like that pattern. 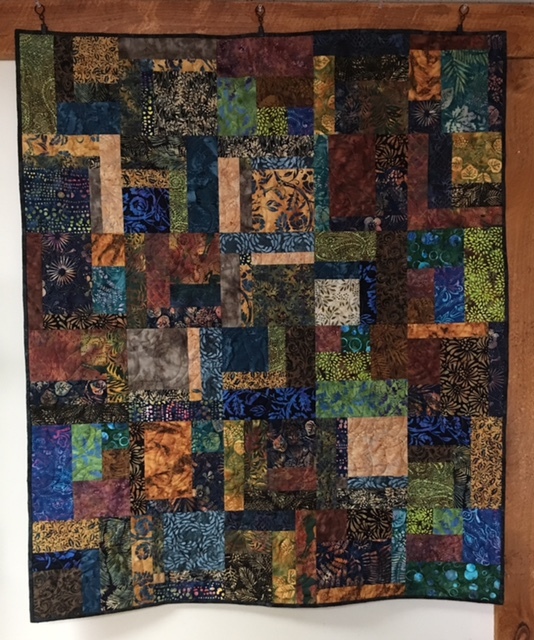 Simple and quick to make .... not requiring much precision because you end up trimming your block.